Guitar tablature, or tab, is the most common method of writing down guitar music. It is basically a pictorial representation of the guitar strings, and numbers are placed on the lines to represent which fret position should be held whilst the given string is played. Many people get confused as to why tab appears to be upside down. 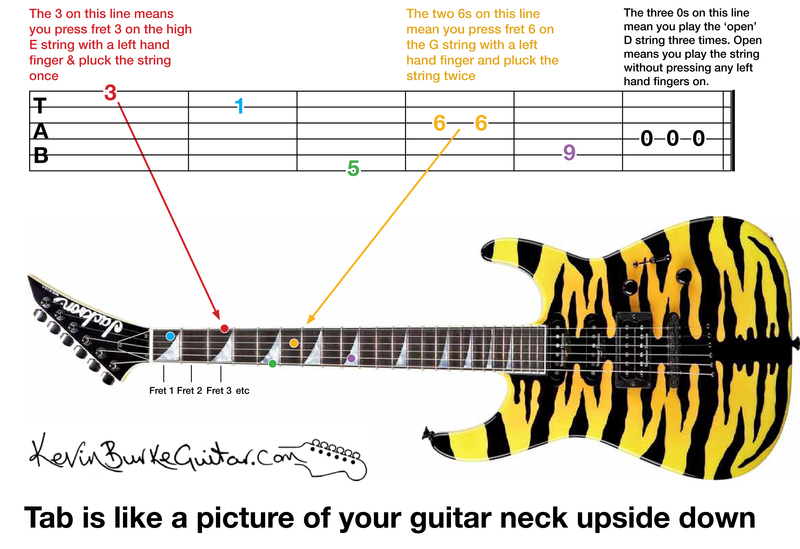 This is because tab shows the strings at the same angle as you see them when you’re actually playing a guitar. This picture should make things a lot clearer. Click the image for a bigger view.